Solo are the only manufacturers of cold, black, ready-to-drink coffee who are focused on the wholesale market. Paid back in full on 3 Apr 19 47 days early!!! Solo Coffee were founded in 2016 to make cold brew coffee. They are now focused on the wholesale market with a flagship 10 litre Bag-in-Box product. Solo are upscaling to sell into offices, gyms, universities and co-working spaces. They are asking for your support to raise £15,000 to fund the production of 500 boxes. In return you can earn a return of 9.8% in just 7 months. You'll also become a Friend of the brand. Solo Coffee successfully raised £15,000 to fund the production of 500 boxes 191 days ago. Check back soon for more offers. Solo Coffee was founded in 2016 by Theo Garcia and Alex Foss Sims. The pair met working as top-level baristas in a cafe in the South West of England. Theo had just won a national coffee competition and they decided to take this expertise and put the finished product into a bottle. Their first coffee was brewed in Theo's parents' kitchen. Alex is head of sales, operations and accounts, Theo is head of production and marketing. 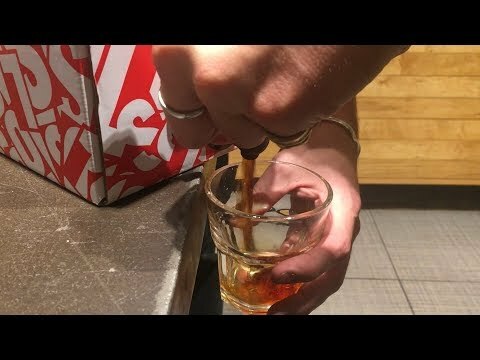 The idea for the box came in early 2018 when the team realised that cafes wanted to offer cold brew but preferred buying in bulk at wholesale prices instead of buying single-serve bottles. The Solo team launched their Bag-in-Box product in August 2018 for the wholesale market. In their first month they achieved sales of £5,000. They found their clients want to offer cold brew coffee but prefer buying at wholesale prices in larger quantities. Solo is targeting coworking spaces, cafes, gyms and universities. Solo's 10 litre Bag-in-Box provides a solution. Solo's competitors are primarily selling in the retail market with expensive single-serve bottles. Solo's product is low-admin, cost-effective and tasty. To seize this opportunity Solo must grow quickly. Their box launched in August and sold £5,000 in its first month. Now Solo are asking for your support to raise £15,000 to fund the production of 500 more boxes. In return for your support Solo Coffee are offering to repay in just 7 months plus 9.8% profit. The offer is backed by the product at a price of £30.00 per box. You'll also become a Friend of the brand.